German Startups Group is a Berlin-based venture capital investment company primarily focused on providing investment to technology businesses in German-speaking countries. With the launch of its secondary shares trading platform, the company started the transition to a wider business model, including market place. German Startups Group (GSG) opened its secondary shares trading platform on schedule as a first step in the transition to an asset manager and market place. The next steps in the development of the platform include the launch of the G|S Tech50 Fund and planned co-operation with SharesPost to open the US market to German investors. The platform has yet to prove its success and grow in scale, but a successful transformation could potentially create value beyond the existing NAV per share. After accounting for post-balance sheet events (a share buyback and transaction yielding a €1.6m revaluation gain), we estimate the current discount to NAV at 42%. GSG reported basic EPS of €0.14 in H118, which is equal to the total EPS in FY17. Taking into account the recent €3m convertible bonds issue, diluted EPS came in at €0.12. Investors will be able to convert bonds into GSG shares in 2023 at c €2.50 per share, ie 58% above the current share price. GSG did not exit any positions during H118 and results were mostly driven by revaluations of the key holdings in its portfolio (€2.7m vs €0.9m in H117). In total, during H118 GSG invested €3m in follow-on funding rounds and made an initial investment in Chrono24. On 19 June, the secondary shares trading platform G|S Market was launched and the first transactions were already settled. The platform could contribute to GSG’s business development – as a source of stable cash flow derived from commissions, and a support to GSG’s own portfolio management activities. As of 8 October, 10 offers are available, and GSG plans to exceed 50 by the end of 2018. The next steps in the development of the platform include the launch of the G|S Tech50 Fund and potential co-operation with SharesPost to open the US market to German investors. GSG’s current share price of €1.46 represents a 39% discount to NAV at end-June 2018 (based on the book value of equity ex-minorities). Taking into account events after the reporting period, the share buyback and revaluation gains, we estimate that the discount increased to 42%. Importantly, the discount may be understated, as the valuation of minority holdings is mostly based on historical transaction prices. In June and July GSG bought back 230k shares and intends to conduct further share repurchases in the future. GSG’s basic EPS in H118 came in at €0.14, which is equal to the total FY17 EPS. During H118 GSG issued €3m in five-year convertible bonds, which implies potential dilution in the future (10% at a conversion price of €2.5033 per share). Taking this into consideration, the fully diluted EPS came in at €0.12. The investment business showed a net gain of €2.8m (16% lower y-o-y), which largely consisted of revaluations, as actual profits from the sale of assets amounted to €75k, and GSG did not exit any positions in H118. Net revaluation profit amounted to €2.7m compared to €0.9m reported in H117. In line with earlier management declarations, the company focused on follow-on financing rounds in existing portfolio holdings and during H118 completed additional investments in Ceritech, AuctionTech, Itembase, TVSmiles, Remerge and Fiagon. Together with the initial investment in Chrono24 (we highlighted the purchase of a 2.1% stake in our last update note), GSG invested a total of €3.0m during H118. GSG’s revenue amounted to €5.3m in H118 (up 15% y-o-y), most of which is generated by its fully consolidated subsidiary Exozet. On 14 May, GSG announced that it was entering into negotiations to sell its 50.7% stake in the company, but these were put on hold for the summer and we await further announcements. In the initial release, GSG announced that the offer price would translate into a revaluation gain vs book value of around €1m, a €1.5m profit on the initial acquisition price and a low single-digit million euro cash inflow. 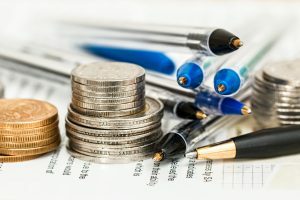 The proceeds could be used to perform further share buybacks (although this could negatively affect the stock’s liquidity), as per management’s declared intention, or to make early repayments of GSG’s loans. After the 2018 interim report, GSG announced that it had recognised a €1.6m upward revaluation (or €0.13 per share) on one of its key holdings, which will be reflected in the H218 results. As of end-H118, GSG’s consolidated net debt position stood at €7.5m (Edison estimates) implying a net debt to equity ratio of 23% compared to €2.5m and 8% end-2017 at end-2017. In our previous update note, we discussed GSG’s transition to an asset manager and market place. The most significant issues that GSG sees in the German tech assets market are low liquidity and transparency. Currently, the market operates in a ‘closed-shop’ ecosystem, with only VCs and well-known business angels involved, and lacks smaller investors. To address these issues and encourage new investors to enter the market, the minimum investment amount in the German start-ups market (GSM) was set at regulatory minimum of €0.2m, whereas ticket sizes in the start-up market typically reach €0.5-5.0m. Another incentive is in the calculation of commission as there is no fee attached to investors and all the matchmaking costs are covered by the seller. GSG aims to earn around 5% of the total volume traded, with the fee scale dependent on the value of investment, starting at 6% with €0.2m investment and reaching 2% on an investment of more than €10m in investment. When it comes to stakes in other VC funds, commissions start at 4% and reach 2% using the same analogy. As detailed in our last update, further incentives include creating dedicated single-asset SPVs (and offering their stakes to investors), dedicated fund-of-funds and a passively managed VC fund investing only in the top 50 of the highest valued German start-ups. The so-called G|S Tech50 Fund will be managed by a majority-held (50.004%) subsidiary of GSG – German Startups Asset Management – and is intended to start in Q418. GSG also announced that it plans to co-operate with SharesPost, a US-based secondary shares platform, to make investments in US-based start-ups available for German investors. In the first month of operations, the number of listed tech assets on the platform reached 13, with the value of stakes offered for sale exceeding €20m. GSG’s intention is to exceed 50 assets by the end of the year and management is confident that this will be achieved. At the end of first month of operations, GSM demonstrated that the value of transactions to be settled stood at €5m, which (assuming the aforementioned targeted 5% in commissions) could translate into c €250k in revenue. As at 8 October, there were nine sale offers on the G|S Market with a total value of €56m, of which €50m constitutes the offer for G|S Tech50 Fund. Of the eight remaining start-ups, five are among GSG’s 20 most significant portfolio constituents. With the transition of the business model, GSG could achieve three main goals, in our view. First of all, establishing a business with stable cash flow on top of gains realised on portfolio exits. The second possible outcome is upward pressure on GSG’s valuation, led by the success of similar platforms in the US such as Equidate, EquityZen or SharesPost. For instance, the US-based Equidate which, since its inception in 2014, has reached US$1bn in transactions (as disclosed in August this year), recently completed a US$50m financing round, implying a company valuation at US$220m (according to Pitchbook). Thirdly, the platform could assist GSG’s own portfolio management activities, giving access to new investment opportunities, as well as work as a convenient exit route for GSG’s own investments. GSG’s net asset value (ex-minorities, but including goodwill and intangibles) amounted to €31.0m as at end-June 2018, translating into €2.59 on a per-share basis (Edison estimates). However, ytd growth in NAV per share (from €2.45 at end-December 2017) did not translate into share price growth (-8% since our last update) and this results in a higher discount to NAV. 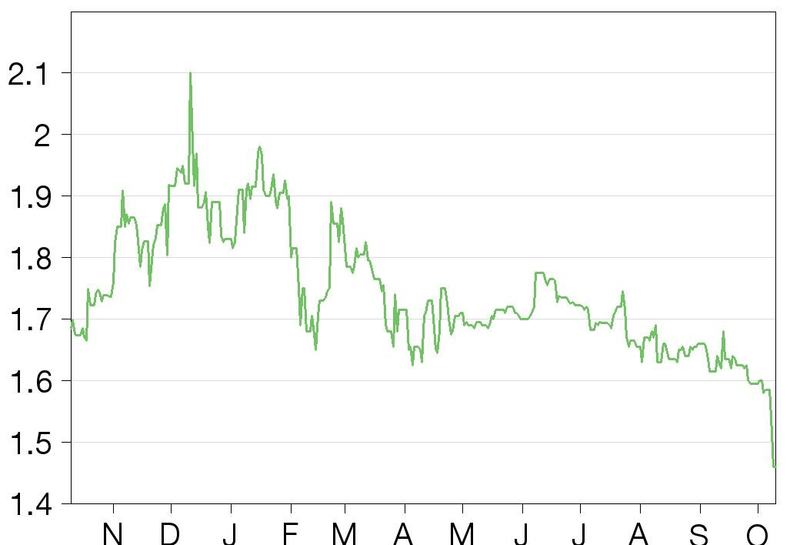 The current share price of €1.46 implies a 39% discount to last reported NAV, compared to 31% in our last update. 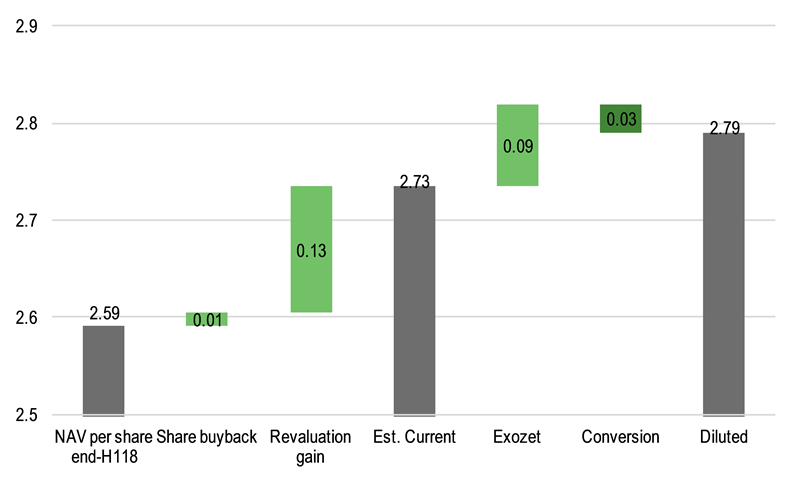 We estimate that the share buyback conducted after the reporting date added a 1c to NAV per share. Furthermore, taking into account the announced revaluation gain of €1.6m (which represents 13c of incremental NAV), the discount increases to around 42% (with estimated NAV at €2.73). The NAV should also increase if GSG finalises the disposal of its 50.7% stake in Exozet at a €1.0m revaluation profit (as originally expected by the company). Moreover, the current NAV and discount are likely understated, given that portfolio companies are mostly valued, where possible, by independent third-party transactions, which reflects the prices achieved in recent transactions and follow-on investment rounds. As at end-June 2018, the average time elapsed since the last valuation on portfolio companies came in at 226 days. While the current discount to NAV is significant, we believe that one of the reasons behind it is limited transparency on the performance of the portfolio companies, as GSG cannot disclose financial information on minority-held assets. We should also take into account the structure of the company as it operates as a partnership limited by shares (KGaA) and the partner is entitled to a profit advance of 25% from the amount of earnings exceeding commercial losses. The company calculates the possible advance (assuming all portfolio components are sold at NAV on 30 June 2018) at €1m, which translates to 8c per share compared to 4c at end-2017. The recent issue of convertible bonds resulted in the possibility of future dilution. Obotritia Capital purchased the entire €3m convertible bonds issue and since 3 April these bonds are available for trading on the Frankfurt Stock Exchange. Investors have the option to convert the bonds into 1.2m new shares at maturity. The duration of the bonds is five years, maturing on 8 March 2023, and the conversion price is c €2.5 per share, 58% higher than current share price. As the conversion price is only slightly lower than NAV per share at end-June 2018, the dilution would not translate into a significant change in our estimated NAV per share of €2.73, at the current portfolio valuation. Taking everything into account and assuming full dilution, the future NAV per share comes in at €2.79, implying 43% discount to the current share price. Our estimates are summarised in Exhibit 2 below.